Elizabeth is a graduate of Jefferson College of Health Sciences with an Associate’s Degree in Applied Science. 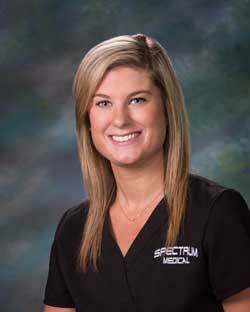 She is now a Licensed Physical Therapist Assistant at Spectrum Medical. She also has a BS in Athletic Training from Methodist University. Elizabeth enjoys spending time with family and friends, playing with her dogs, and going to Smith Mountain Lake.